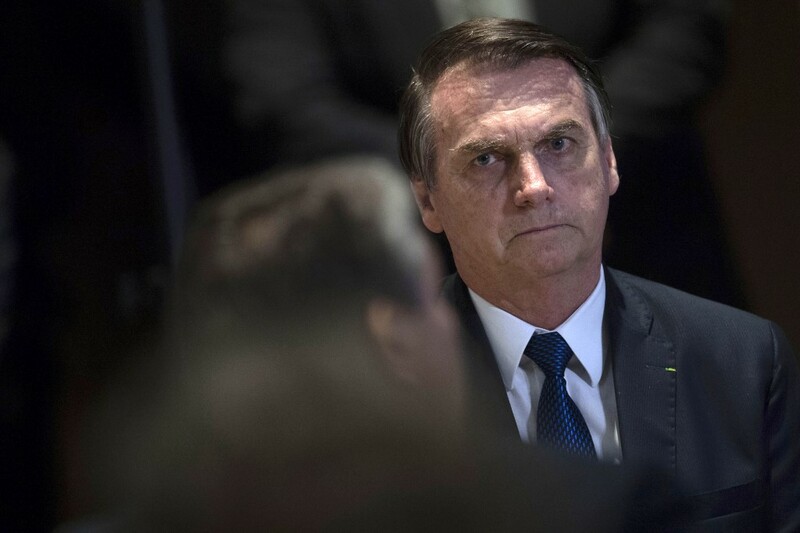 Brazilian president Jair Bolsonaro attempted to curb criticism over his comments that the Holocaust could be forgiven Saturday, saying that his words were being misinterpreted. 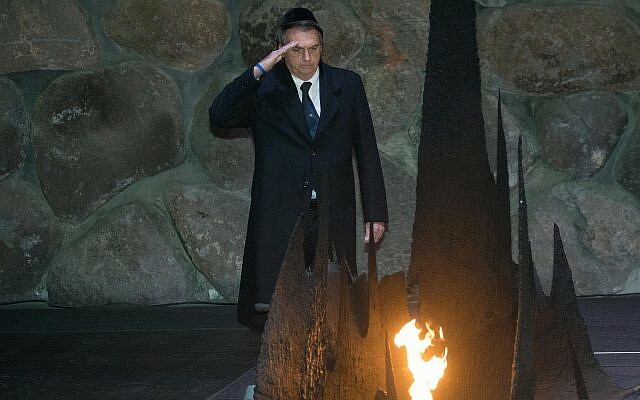 The comments, made days after visiting the Yad Vashem Holocaust Memorial and Museum in Jerusalem, drew criticism from the institution as well as others in Israel, including President Reuven Rivlin. In a clarification posted by Israel’s ambassador to Brazil Yossi Shelley late Saturday, Bolsonaro blamed “those who want to push me away from my Jewish friends,” for taking his speech out of context. “To the people of Israel I wrote in the guestbook of the Yad Vashem museum in Jerusalem: ‘Those who forget their past are doomed to not have a future’ Therefore, any other interpretation is only in the interest of those who want to push me away from my jewish friends. Forgiveness is something personal, my speech was never meant to be used in a historical context, especially one where millions of innocent people were murdered in a cruel genocide,” he was quoted as writing by Shelley. The comments were also posted by Shelley in Hebrew and Portuguese. He said he asked the president to clarify his remarks because they were being taken out of context. “I hope this way everything will be put in its proper place regarding a subject so important and sensitive for our people Israel,” Shelley wrote. Bolsonaro’s clarification was not posted by any of his own social media accounts or on his official government site. Instead a video about Israeli water technology was put up. 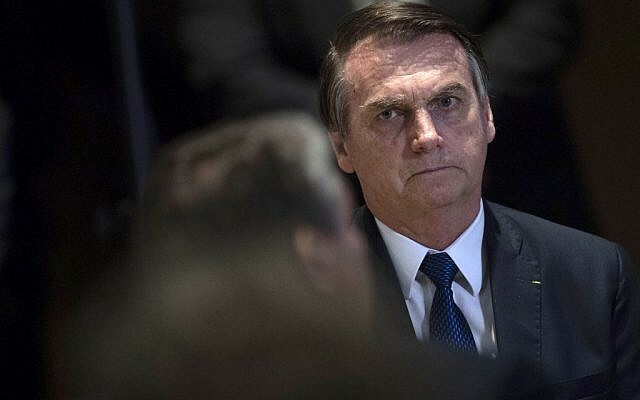 Many in Israel, though, rebuked Bolsonaro for the comments. “It is not the place of any person to determine whether the crimes of the Holocaust can be forgiven,” Yad Vashem said in a statement. “We will never forgive and never forget. No one will order the forgiveness of the Jewish people, and it can never be bought in the name of interests,” Rivlin said later Saturday. Bolsonaro, a combative conservative who has drawn comparisons to US President Donald Trump, has sought to forge close ties with Israel. Many of his evangelical supporters are vociferous backers of Zionism. He visited Israel earlier this month, meeting with Prime Minister Benjamin Netanyahu and others, in a sign of growing ties between Jerusalem and Brasilia. The visit included a wreath-laying at the Holocaust memorial in Jerusalem alongside Netanyahu, during which the Brazilian leader labeled Nazism a leftist ideology, a claim rejected by historians. The far-right leader was asked on his visit to Israel if he agreed with the claim by his foreign minister, Ernesto Araujo, that Nazis were leftists. “There is no doubt, right?” Bolsonaro replied, according to Reuters. Netanyahu, who traveled to Brazil earlier in the year for Bolsanaro’s inauguration, has eagerly embraced the new Brazilian leader.